In Chicago’s northwest side, there’s a quiet, charming neighborhood called Sauganash that allows its residents to be part of the city they love, while still enjoying the forest preserves. It has the tranquility, and the larger yards, that many buyers look for in the Chicago suburbs. It’s truly the best of both worlds! 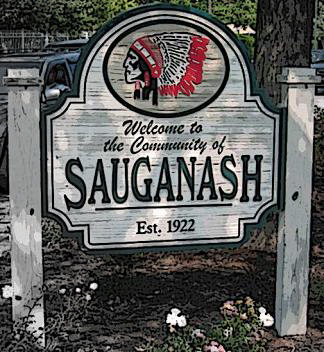 Sauganash real estate offers great value, and is comprised of mostly single family homes– from the meticulously maintained older homes to new-construction homes, which average around $420,000. You can find a variety of architecture here – from gorgeous Tudor and Queen Anne-style homes, to newer bungalows, ranch houses, Cape Cods and Georgians. Neighborhood streets are wide and roomy, and are lined with beautiful trees, enticing anyone seeking charming community within the Chicago city limits. Aside from great real estate, Sauganash also offers fabulous schools like Sauganash Montessori, Sauganash School for the Young Years and Queen of All Saints Elementary – just another perk of this charming neighborhood. If you’re looking for a realtor who can help you find the perfect home in the Sauganash neighborhood, let’s chat today! In the meantime, you can browse Sauganash real estate home listings below. Let’s get started on finding that dream home of yours, shall we? If you’d like to know more about Sauganash or scope out other neighborhoods in Chicago with a top buyer’s agent, let’s chat! You can also scroll down to see current Sauganash real estate listings. I look forward to hearing from you! Let’s find your dream home, shall we? Looking to sell your home in Sauganash? Call me to talk about how the #1 brokerage firm in Chicago, and one of its top listing agents (me! ), can help you stage, price, market and sell your home for maximum value. It's never too soon to begin; preparation to list time can range from 14 to 120+ days, depending on how many closets there are to purge.